Chicago and Then Some: Spring has arrived in Chicago! Chicago is known for many things (deep dish pizza, historical gangsters, corrupt politics, the “blues,” superb sports rivalries, the most gorgeous lakefront and skyline in the entire universe). Among the more infamous traits of this fantastic city are some dismal winters (even though I don’t mind the cold). Our summers are short, but they are hot and humid and often, not particularly pleasant. Our autumns are lovely, but our spring season is fabulously spectacular. Spring here is a relatively short season, but it is the time of year I most feel alive. Literally, feel alive! I honestly cannot think of anything more pleasant in life than the days growing longer and longer as we approach the summer solstice! 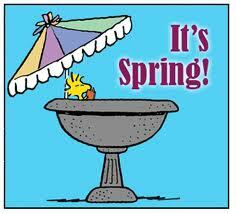 I love spring time. I always have. I have spectacular memories of growing up and rushing home from school on a wonderful spring day. You’d see the trees budding, the bulbed flowers blooming and the birds would be returning to their spring/summer homes. What a kick I still get upon that first sighting of a red-winged blackbird! Remember the smells of the flowering trees and wildflowers? 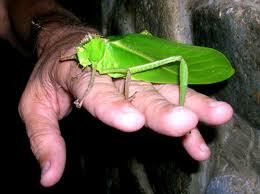 Remember the Katydids? I could literally spend hours listening to the songbirds as we strolled through our glorious neighborhood! You’d get up early for school and attach your face to the sunrise peeling up from the east and think that in a couple of months you’d be getting out of school. Yippee! I still get that sensation after all of these years. 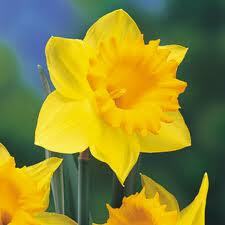 This is the time of year when the bulbs poke up out of the ground and the leaves begin to open. I am breathing fresh air! You can smell each season; and spring is driven by all kinds of fabulous sensations. Everything is fresh! Flowers have decided to join us on our newly opened path of life! Here they come. The daffodils, lilacs, peonies, crocus and lilies!! I would go out and pick some flowers for my mom. I also hand selected some fantastic dandelions for the little vases. I thought the dandelions were as lovely as any other flower. They were golden yellow and beautiful, just like my mom. The days are getting longer here in the Midwest and you can feel the warmth on the horizon. There it is! That sensation of the sun on your face, your hands, your back. Everything is green. It’s not quite Ireland, but I swear I can see 80 shades of green! I can’t wait to plant, although I have already put my Iris bulbs out on the porch! 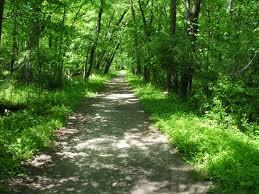 I anticipate getting on my bicycle and riding along the stunning trails in the mighty preserves of the Chicago area. Rain showers! Yes, it will rain and it will rain often. The sound of that rain still gives me a great feeling on the inside. I love thunder and lightening! You can even smell the rain before a drop lands! Your attitude changes in spring. You smile more often. You feel good. We anticipate vacations and gardens and life itself. The wildlife is readily seen from the roads. 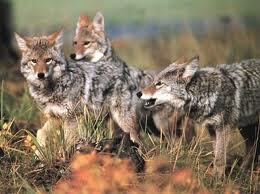 There’s a family of deer and the ultimate kick – there is a pack of coyotes! Well, the deer may not quite get a kick out of that vision! Ice cream is waiting for me to devour the scoops! Shall it be Brown Cow in Forest Park, the Plush Horse in Palos Park, Margie’s in the city or the mighty giant of the Chicagoland chain, Oberweiss Dairy? I will hit them all up during the next six months of outdoors time. Baseball starts on Friday! What could be more sensational than going to a game on a spring night?! Enjoy life! It’s brief and fragile and it’s beautiful!